Another meatless Lenten Friday here, and I’m really excited to share this super easy, super flavorful vegan meal with you all! This slow cooker meal is pretty much a dump-and-go. Welcome to our third Lenten Friday! Today, I’m sharing one of my favorite new soups. 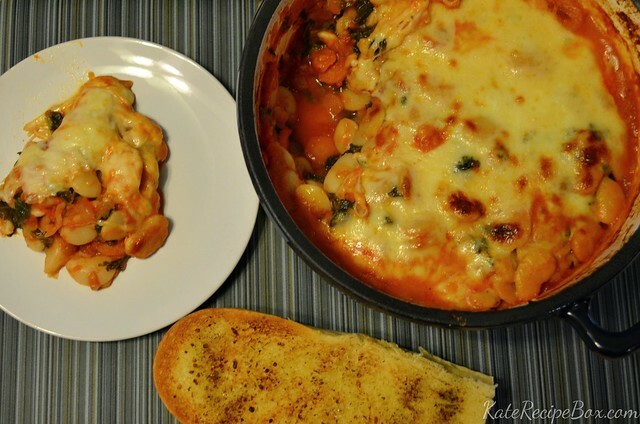 I don’t like to limit soups to winter – they really can be great make-ahead meals any time of the year. It’s become a yearly tradition on the blog to share meatless meals every Friday during lent – and to kick things off with a big ole’ roundup of meatless meals. This is actually my ninth year doing this, if you can believe it, so I thought it was high time to get everything in one place. 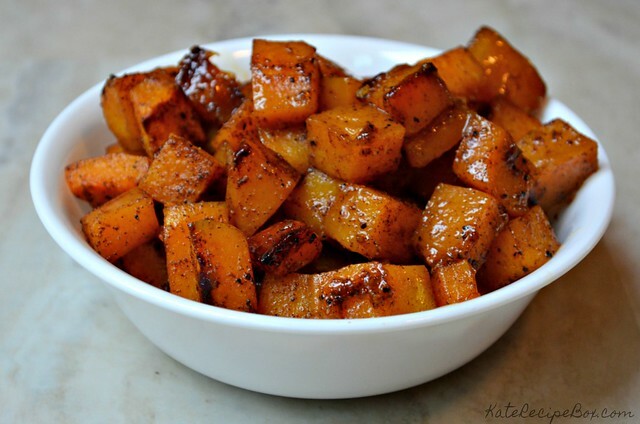 Side dishes are on my list of “things I regularly forget about”. I’m not the only one that can plan main dishes for every night and conveniently forget that I should serve something along with it, right? Except Thanksgiving. Thanksgiving is all about the sides for me. And this would be a great one. Simple ingredients and quick prep make this a winner any night, but it’d be especially great for your holiday table, given how great butternut squash are this time of year. Preheat the oven to 450 degrees F. Line a baking sheet with foil and set aside. 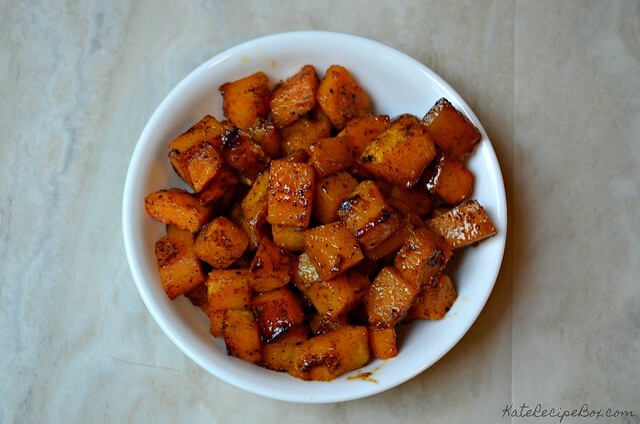 In a bowl, toss the squash with the oil until evenly coated. Add remaining ingredients and toss to coat. Spread out on the baking sheet evenly. Roast for 40 minutes until the squash is fork-tender and the edges are browned. In the food blogger world, we’re often working ahead. Like, I’m currently working on Christmas cookies, as absurd as that sounds on this 80 degree summer day. Sometimes I feel like I’m living three steps ahead, not in the moment, so I was super excited that more than 80% of you were still up for summer recipes when I asked on Facebook this week. I feel like I’ve missed most of it, honestly. The move chewed up so much of my time that I feel like I’m frantically playing catch up now before school starts. Grilling is something I’m catching up on – we finally got our grill ready to go this week. This was the first thing I made. This “recipe” is really flexible – it’s more of a method. 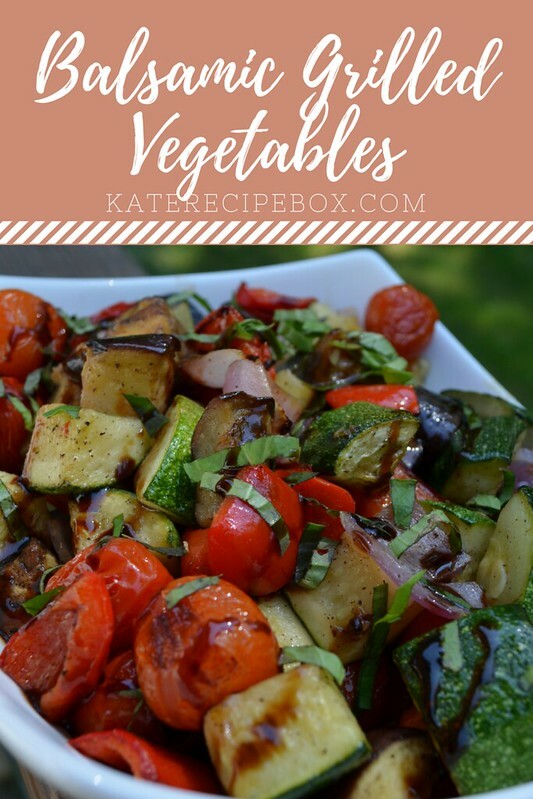 You can use any vegetables you have on hand. Want it to cook faster? Cut the pieces smaller. Want the veggies to caramelize a little more? Don’t stir as often. Sub the balsamic for fresh Parmesan. Add a nice, crusty loaf of bread and serve it as a meal. So many options! It can also be served warm, cold, or at room temp which makes it so flexible for potlucks or entertaining. Chop the vegetables into bite-sized pieces. Toss with olive oil and season with slat and pepper. Add to a grill basket. Grill for 20-25 minutes, stirring every few minutes. When done, transfer to a serving bowl. Top with fresh basil and drizzle with balsamic glaze. House update: we were outbid on the house we liked. Womp, womp. I’m trying to comfort myself by reminding myself of all the negatives. Like, the super pink early-90s kitchen and the extra bathrooms to clean. I’m also trying to relish the fact I no longer have to worry about showings – which means I can actually do some meal planning! And after all the fast food I’m excited about all the vegetables. 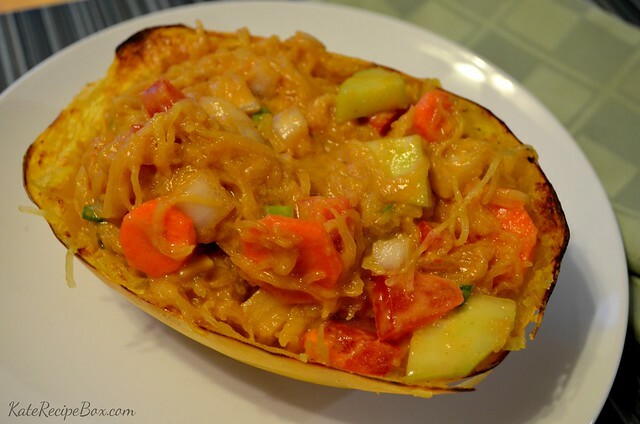 This spaghetti squash version of pad thai has been one of my favorite Lenten dinners so far. 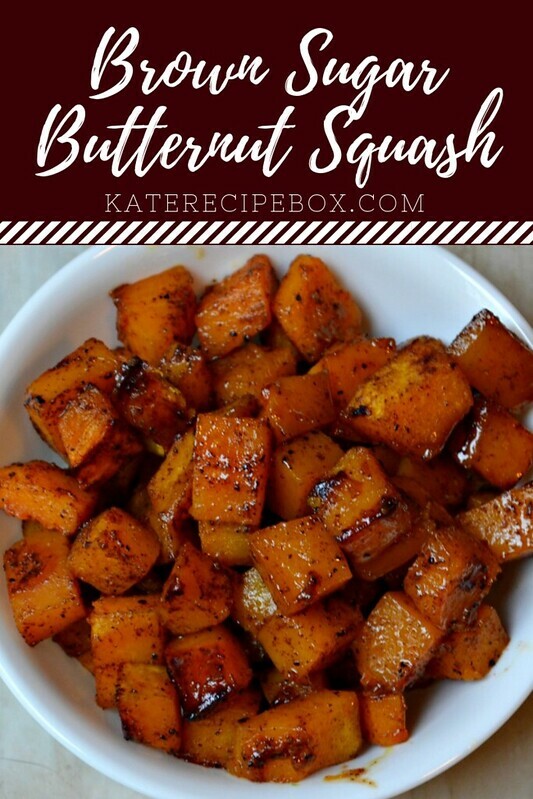 If you’re a slow chopper like me, this will take a bit to prep – but it’s flavorful and the contrast of the cooked squash with the other raw veggies is great! Cut the spaghetti squash in half lengthwise and scoop out the seeds. Brush with olive oil and season with salt and pepper. Place cut-side down on a foil-lined baking sheet and bake at 400 degrees for 40 minutes. Meanwhile, whisk together the water, soy sauce, sesame oil, honey, lime juice, Sriracha, peanut butter, and garlic to make the sauce. 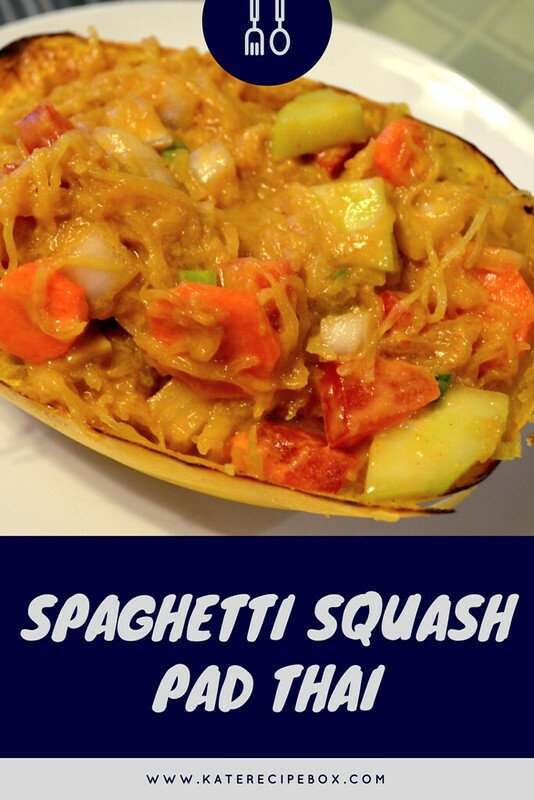 When the spaghetti squash is done, shred the inside with a fork and transfer to a large bowl. Stir in the sauce and remaining ingredients until well combined. Serve immediately. Chinese takeout fake-outs have become some of my favorite Lenten dinners. Our local Chinese restaurant has limited meatless options so it isn’t really a great option for us during Lent. Cravings a few year back led me to Kung Pao Chickpeas and then General Tso’s Cauliflower. All of these sort of hide the bulk of the meal with the sauce, so even if you’re not usually a cauliflower fan, you might like this. 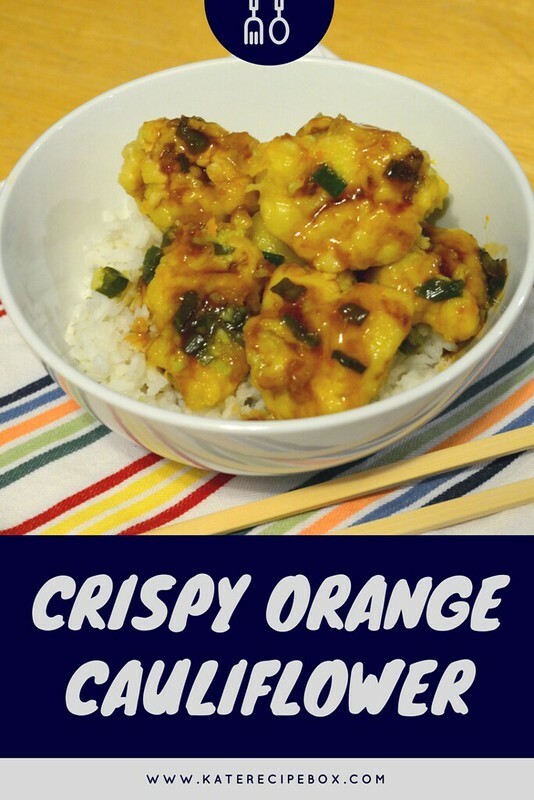 Battered, fried, and covered in the fresh orange sauce, you can barely tell you’re loading up on vegetables here. My kids happily gobbled it down! Mix together egg, water, cornstarch, flour, and olive oil to create a batter. It should be thick enough to coat, but not clumpy – think waffle batter consistency! In a large skillet or wok, heat the vegetable oil on medium high. When the oil is heated, dip each piece of cauliflower into the batter and then add it to the hot oil. Fry until browned, then transfer to a paper-towel lined plate. In another skillet or wok, heat olive over medium-high heat and then add garlic and green onions and cook for a minute. Stir in orange zest and juice and cook for another minute. Add soy sauce and vinegar and bring to a boil. 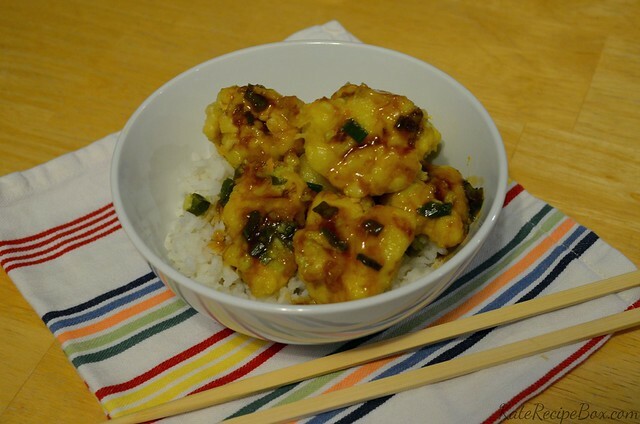 Toss cauliflower in sauce and serve over rice. So. Much. Rain. SO. MUCH. RAIN. Suffice it to say, I’m really, REALLY dreaming of warm, sunny days. How nice would it be to be on a beach somewhere tropical? 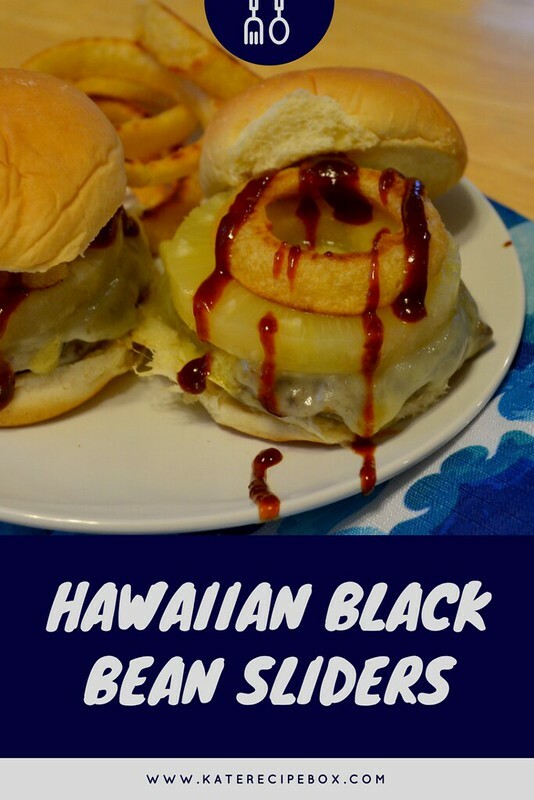 So, for this Lenten Friday, I’m cooking up some island-inspired sliders that are – of course! – meatless. I made these as sliders because they’re the perfect size for the kids, but you could make these as four large burgers too. In a food processor, pulse the onion and garlic until finely chopped. Add the beans, oats, corn, green onion, cumin, curry powder, and cayenne and pulse until well mixed – about 20 seconds. Scrape down the sides, add salt and pepper to taste, and process for another 10 seconds. Transfer to a bowl and chill for several hours. When ready to cook, stir in breadcrumbs and form into a dozen equal-sized patties. Heat oil in a skillet over medium heat. Cook for 10-15 minutes, turning halfway, until their is an outer crust and the patties are heated through. Top with cheese during the last 2 minutes of cooking. Add the cooked patties to the slider rolls. 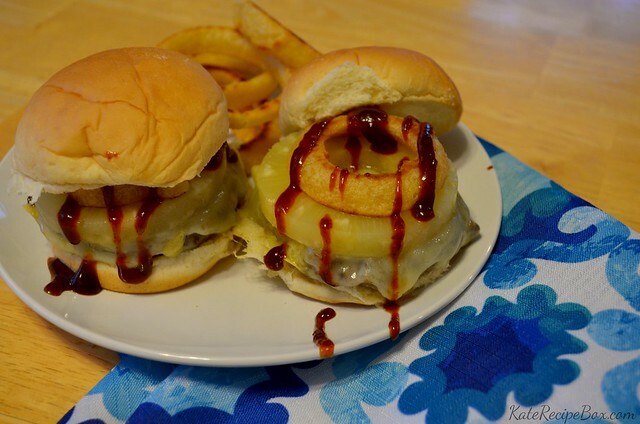 Top each with a pineapple ring, onion ring, and a drizzle of barbecue sauce. Serve immediately. 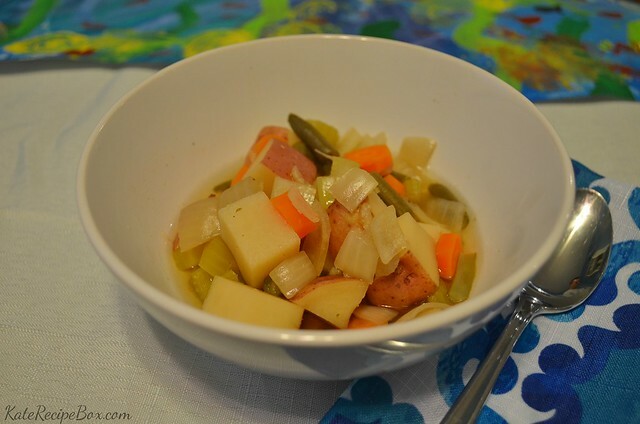 This vegetable stew is what we made for Family Dinner Book Club last month, and it’s such a great option for Lenten Fridays. It’s a dump and go slow cooker meal – perfect for the end of the week. 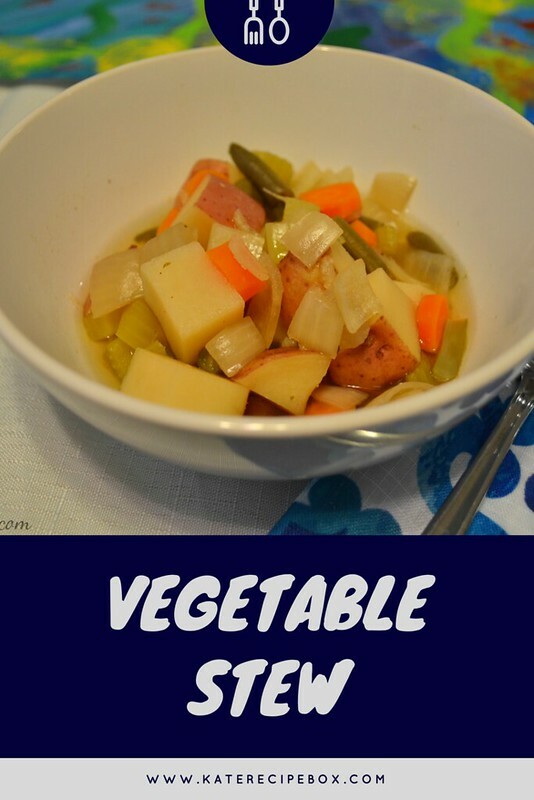 I honestly wasn’t sure how this would be received by the kids since it really is just a big bowl of vegetables – but I was pleasantly surprised that they were happy with it. You could easily switch up the veggies to fit your family’s tastes – or add chicken or pasta. Add everything, except lemon, to the slow cooker and cook on low for 4-6 hours, until potatoes are easily cut with a fork. Stir in juice of the lemon and serve. It’s the first Lenten Friday of 2018 and I’m marking it with – you guessed it! – a pizza dish. For years, our Lenten Friday staples were spaghetti with tomato sauce and pizza. This blog series was born out of my desire to experiment with other options. Now in it’s fifth year, I’ve added so many more meatless meals to my repertoire – but pizza-inspired dishes still hold a place in my heart. 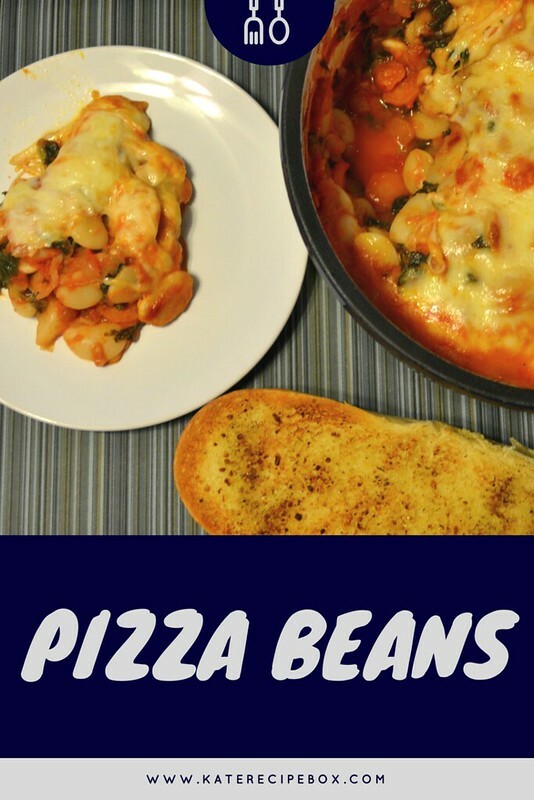 These beans are our pizza representation for the year. They’re not overly reminiscent of pizza, but the tomato sauce and cheese made it totally plausible to the kids – they happily ate it up! I loved that it was loaded with veggies, too. Soak the beans overnight. Drain, then transfer to an oven-safe dutch oven. Cover with water. Bring to a boil and then turn heat to low. Simmer for 1 1/2 – 2 hours, until beans are soft. Drain and transfer the beans to a bowl. Set aside. Over medium-high heat, add the oil to the same dutch oven. Add the onion, celery, and carrots and season with salt and pepper. Cook until lightly browned, about 10 minutes. Add garlic and cook until fragrant. Add the wine and scrape up any browned bits in the pan, then continue to cook until the wine disappears. Add the kale and cook for 1-2 minutes, until wilted in. Add the tomatoes and bring to a simmer. Stir in the beans and vegetable broth. Simmer for 10 minutes and adjust seasonings as needed. Sprinkle mozzarella and Parmesan over the top and bake for 10-15 minutes.